In stock. Order in the next 7 hours, 43 minutes and it will go out today! This model of the Ever Filling Glass has some special features. The outer visible glass is now made from a much tougher grade of plastic, which will not break easily, even if dropped. It has a simple but clever "lock" fitted which greatly enhances the effect. 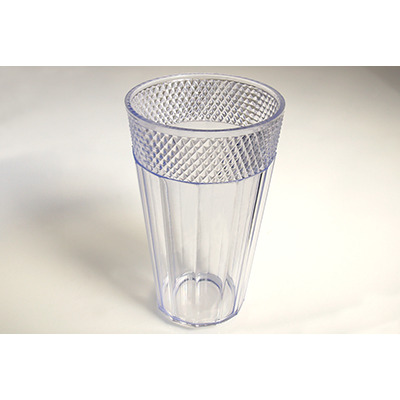 This enables you to display a glass full of milk, resting on your table or in clear view at the start. You pick it up and perform your effect. Then replace the glass on the table again full, or empty as your wish.